Love Your Eyewear But Don’t Love Your Bill? No Vision Plan? Poor Vision Plan? 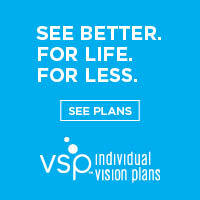 People purchasing this plan will be able to continue regular eye care and eyewear purchase benefits through our office at a greatly reduced cost over private pay. Here are three types of people that would benefit from VSP Individual Plans. Retirees who have had VSP or another vision care plan AND who are not 65 when Medicare kicks in for the exam. People without vision care who delay care because of cost. Young adults who do not have vision care because they have “aged” out of their parents medical and vision care insurance and who are not yet covered by an employer. Because Pacific Eye Care provides both medical and routine eye care, we accept a number of insurance plans to help cover the cost depending on your individual needs. Ready to Book Your Eye Exam in Huntington Beach, CA? Our optometrists in Huntington Beach also accept a number of other insurance plans as well as Care Credit. If you do not see your insurance plan on this list, please call our office at (714) 464-6686 or book your eye exam online. Learn about types of plans, coverage and payment options.